Continuuity, the startup that’s trying to build something like a Platform as a Service for Hadoop, has raised a $10 million Series A round from Battery Ventures and Ignition Partners, as well as Andreessen Horowitz, Data Collective and Amplify Partners. Co-founders Todd Papaioannou, Jonathan Gray and Nitin Motgi began building Continuuity in late 2011, and closed a $2.5 million seed round in January 2012. The cash infusion will help Palo Alto, Calif.-based Continuuity further develop technology that abstracts the complexity of building and deploying Hadoop applications and also opens Hadoop up to entirely new types of workloads. 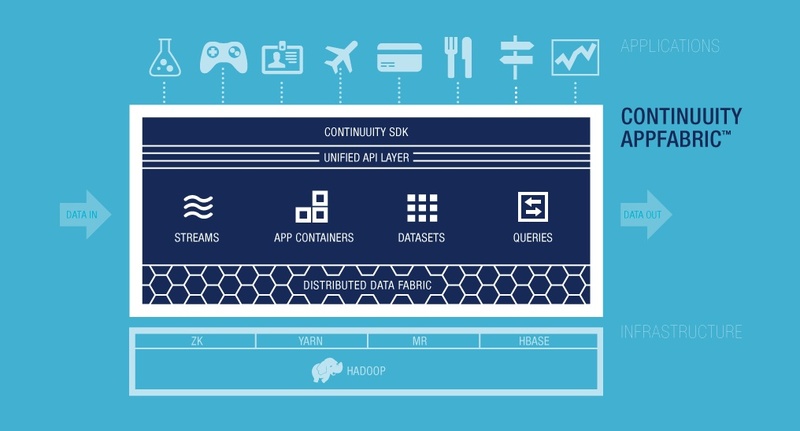 Although Continuuity’s AppFabric is built atop Hadoop and a collection of related technologies, it lets developers build what might be called big data applications, generally, rather than just Hadoop (read “inherently limited MapReduce“) applications. Taking advantage of YARN and HBase, for example, the company was able to build out methods for processing stream data in real time and elastically scaling a Hadoop cluster even while jobs are running. The beauty of it all, though, are the high-level APIs, development environment and abstraction from the infrastructural complexity under the covers. Even though Hadoop, HBase and other foundational elements might be running on their own individual clusters and be linked together with a set of low-level APIs, Papaioannou says developers shouldn’t have to worry at all about nodes, clusters, data blocks or anything else that keeps engineers up at night. This is the same idea driving the growing ecosystem of web-app-focused Platform-as-a-Service offerings such as Heroku (s crm), Cloud Foundry (s vmw) and Windows Azure (s msft), as well as a growing collection of data-focused services. Continuuity actually plans to join many of them in the cloud next year by launching a publicly hosted version of AppFabric to complement the on-premises version that’s currently in private beta.